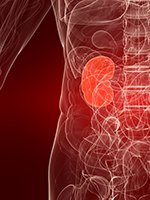 Progression-free survival (PFS) was extended by 3.5 months with first-line atezolizumab (Tecentriq) plus bevacizumab (Avastin) in patients with metastatic renal-­cell carcinoma (RCC) versus standard-of-care sunitinib (Sutent) in the phase 3 IMmotion151 clinical trial presented at the 2018 Genitourinary Cancers Symposium. The PFS benefit of the combination of an immune checkpoint inhibitor and a vascular endothelial growth factor receptor (VEGFR) inhibitor was longer in patients with PD-L1–positive tumors. 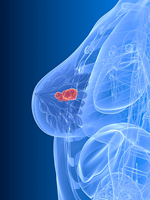 In addition, atezolizumab plus bevaciz­umab had an improved side-effect profile versus sunitinib. “Because the side effects were decidedly less harsh, and the progression-free survival was better, this relatively easy-to-administer combination should be considered a first-line option for advanced renal-cell carcinoma,” said lead investigator Robert J. Motzer, MD, Jack and Dorothy Byrne Chair in Clinical Oncology, Memorial Sloan Kettering Cancer Center, New York City, who presented the results. “For an aggressive cancer like this, where less than 20% of people survive 5 years after diagnosis, we think a 3.5-month longer progression-free survival, given the tolerability of this new combination treatment regimen, is an impor­tant development,” he added. The IMmotion151 study randomized 915 patients with untreated metastatic RCC in a 1:1 ratio to treatment with atezolizumab plus bevacizumab or to sunitinib. No dose reductions were allowed for atezoliz­umab plus bevacizu­mab. The patients were stratified by PD-L1 expression; 362 (40%) patients had PD-L1–positive tumors according to ≥1% immunohistochemical staining on tumor-infiltrating immune cells. The study included patients with clear-cell and sarcomatoid histology. The baseline characteristics were comparable between the 2 treatment arms in the patients with PD-L1–positive disease and for the entire study population. The primary end point was PFS. In patients with PD-L1–positive metastatic RCC, the median PFS was 11.2 months with atezolizumab plus bevaciz­umab versus 7.7 months with standard-of-care sunitinib, representing a 26% reduction (P = .02) in the likelihood of disease progression. In the intent-to-treat (ITT) population (N = 915), the median PFS was 11.2 months with the combination therapy versus 8.4 months with sunitinib, a 17% increase (P = .02) in median PFS duration favoring the combination therapy. In patients with PD-L1–positive disease, the objective response rate was 43% for the combination therapy versus 35% for sunitinib, and the duration of response was not estimable for the combination therapy versus 12.9 months for sunitinib. In the ITT population, the objective response rates were 37% for the combination therapy versus 33% for sunit­inib, and the median duration of response was 16.6 months versus 14.2 months, respectively. In the patients with PD-L1–positive tumors, the complete response rates were 9% with the combination therapy and 5% with sunitinib. In the ITT population, the complete response rates were 5% with the combination therapy and 2% with sunitinib. “Survival is immature, but the hazard ratio of 0.68 favors the combination. We await the final survival analysis,” Dr Motzer said. Treatment-related grade 3 or 4 adverse events were reported in 40% of patients who received atezolizu­mab plus bevacizumab versus 54% of patients in the sunitinib group. Only 16% of patients who received the combination therapy required steroids for immune-related side effects compared with 60% in an earlier study of patients who received the combination of the PD-L1 inhibitor nivolumab (Opdivo) plus ipilimu­mab (Yervoy) in patients with metastatic RCC.